Faith Sunderly leads a double life. To most people, she is reliable, dull, trustworthy--a proper young lady who knows her place as inferior to men--but inside, Faith is full of questions and curiosity, and she cannot resist a mystery: an unattended envelope, an unlocked door. She also knows secrets no one suspects her of knowing. For one, she knows that her family moved to the close-knit island of Vane because her famous scientist father was fleeing a reputation-destroying scandal. And when her father is discovered dead shortly thereafter, she knows that he was murdered. 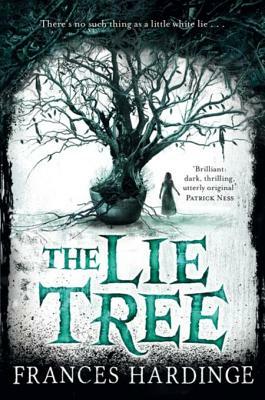 In pursuit of justice and revenge, Faith hunts through her father's possessions and discovers a strange tree. The tree bears fruit only when she whispers a lie to it, and when that fruit is eaten, it delivers a hidden truth. But while the tree might hold the key to her father's murder, it could also lure his murderer directly to Faith.